Certain remarks made in the recent Supreme Court hearing of the Fisher v. University of Texas affirmative action case are the latest reminder to black folks – as if we needed one – that there are spaces where we are not welcome, where we will be told that something is just not right and we don't fit in. Apparently, one of those places, according to one justice, is an elite educational institution. Well, Justice Scalia, my own realization came in the fourth grade when I was bused to an elementary school on the outskirts of Jackson, Michigan, in the 1970s. As a part of the national confrontation with segregation, 12 of my friends and I were the gifted and chosen ones to pioneer the cause of justice and equality. We knew little of what was to come or how to prepare for it. For us, we were just going to school. My fellow commuter integratees and I did what all kids do. We tried our best to fit in. That included taking part in the activities we enjoyed. For me, it was music. I’d been taking piano lessons for years and, when I got the chance to play in the band, I jumped at it. At the first band class, there were tryouts. We got to ‘play’ several instruments so the band director could determine which were the best fit for us. My musical preference and passion was the clarinet. It was cool, and sleek. The clarinet was MY instrument. Being kids, we did what kids do. While the band director was distracted, we took advantage of the opening to sneak an unauthorized look at the list of instrument assignments to determine if we got our first picks. Suddenly, I was not only questioning my love of music, but my appearance. It hadn’t occurred to me that, at the age of 9, my lips could make or break my musical future. Disappointment turned into humiliation. Humiliation turned into anger. I was the only black kid who tried out for the band. So for me, thick lips meant black, therefore Black meant something was so wrong that the clarinet was forbidden. Something was wrong because I was black. Being a kid, I did what kids do. I pretended not to care, but struggled for answers. I remember that day, walking into the house after school and bursting into tears. I was barely coherent as I tried to explain to my mother what happened. There was little she could do to console me so she called for reinforcements – my father, the jazz expert. Let’s not believe what others say we are. The next time band class met, I told the director I wanted to play the clarinet and, being a kid, did what kids do, and said my parents said I could. Black women suffer disappointments and humiliations every day in the workplace, in the classroom, in shops and doctor’s offices. We’re told we shouldn’t select ‘advanced schools’ by Supreme Court justices. We’re told that even though we get breast cancer at a younger age, the age to start mammography should be raised. We’re told we must care for our children, our extended families, out-perform our colleagues, be pillars in our communities and conform to certain standards of beauty. And, to do anything else, is not living up to expectations. We’re told, we see, we hear, every day, that something is wrong with us. We’re very good at pretending not to care, but we do. And it takes a toll: Elevated blood pressure; difficulty managing body weight; higher cortisol levels that over time age black women faster; and now, an increase in breast cancer rates. Stress triggers the body’s inflammatory response leading to a host of chronic diseases and conditions. Yes, we as Black women try mightily to manage our stress and fit exercise, good nutrition and sleep into our busy lives. And, of course, we’re not the only group that is stressed. But when that stress is caused by a response to something we cannot (nor want to) change, like skin color or thick lips, we can lose ourselves in what others think of us. I can’t imagine how many lives and careers of black women have been cut short because someone said, “you can’t”. So we must see those examples, those Sidney Bechets or the female equivalents in each other and hang on to them and know we can live above and beyond the disappointments and humiliations. While many of us are working on eliminating the structural and societal conditions that produce these everyday stresses, let’s hang on to each other and support each other. Let’s not believe what others say we are. 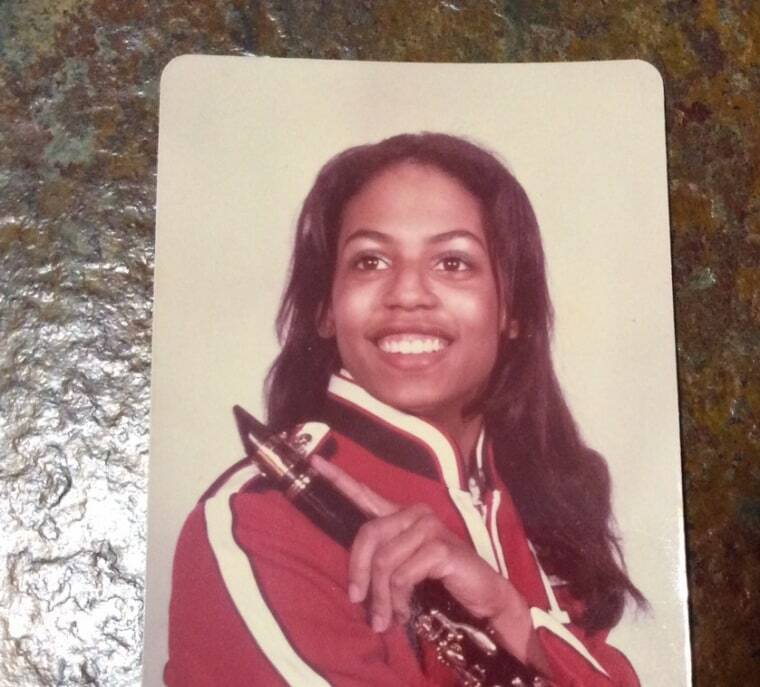 I played the clarinet through college in orchestras and bands and often sat first chair. When you play music, it’s a good idea to listen to what others are playing to make sure you’re fitting in. In life, sometimes it’s not. Sometimes, it translates into defining yourself in your own terms, listening to your own music. Linda Goler Blount, is President and CEO of the Black Women's Health Imperative and a Public Voices Fellow of the OpEd Project.